ऐसा कौन सा कुआं है जिसमें गिरने के बाद आदमी बाहर नहीं निकल पाता ? छः दिन बीत चुके थे।राज पंडित को जबाव नहीं मिला था।निराश होकर वह जंगल की तरफ गया। वहां उसकी भेंट एक गड़रिए से हुई। गड़रिए ने पूछा -” आप तो राजपंडित हैं, राजा के दुलारे हो फिर चेहरे पर इतनी उदासी क्यों ? What kind of well is that in which man can not get out after falling? Once, in the court of King Bhoj, there was a question, which is the well where the man could not get out after falling? Nobody can answer the question. At last, Raja Bhoja told Raj Pandit that the answer to this question should be brought within seven days, otherwise the reward money has been given to you so far, will be withdrawn and this city has to leave and go to another place. Six days had passed.Raj Pandit did not get the response. After being frustrated, he went towards the forest. There he met a shepherd. Gadriya asked – “You are the king, you are the king’s bride, why so sadness on your face? The Pandit did not say anything, and the priest did not say anything. On this, Gradrio asked again for the reason of melancholy, saying, “Pandit ji, we are also satsangari, maybe you have the answer to your question, so be sure to say so. “Raj Pandit told the question and said that if the answer to the question is not answered then Raja will be removed from the city. Inside the Raj Pandit, first place the arrogant, that I should become a follower of the two cowards? But selfishness became ready to become a disciple for fulfillment. Rajpandit said – “You do it! Brahmin will lie? “Then go, talk about ghadiya. Rajpandit thought very well- “It is very difficult but I am ready. Gadariya said- “Got the answer. That’s the well! Of greed, craving in which the man falls and never comes out. As you went towards falling in this greedy well in order to get Paras. 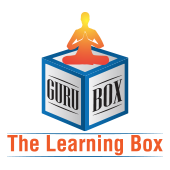 ← What are the differences between Education and Meditation ? Now English Translation available on the post. Thanks Aman…goog learning lession…this is trap we faced in life. Thanks…Greed is very bad at all situation.